ENTEC SF6 Gas Insulated Ring Main Unit is designed to have distribution level of up to 24kV, and rated currents up to 630A. Mainly used in malls, shopping centers, industrial areas and other locations of where the load is concentrated and areas with increasing demand of load. It is installed on the ground at the withdrawal point to prevent the fault spreading out to other branch line. It contains tee-off circuit breaker that has stainless steel enclosure and insulate with SF6 Gas in 3-position switch. 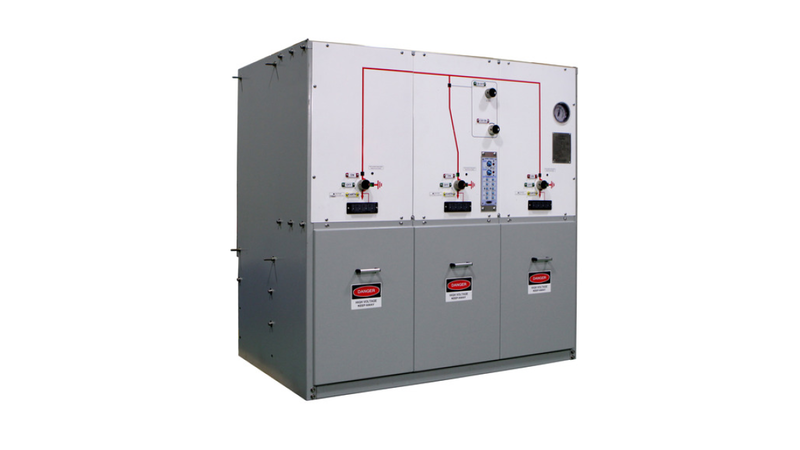 By adopting Vacuum Interrupter, it can perform 2,000 times of mechanical operation. In addition, each phase is mechanically interlocked with main circuits to maximize the safety. Self-powered relay is available for precisely operating at a set time and detect fault current. For monitoring line in Distribution Automation System, Digital Relay Controller can be equipped as an optional to be configured to the system.